We are so excited to announce our first online Bible study experience happening this summer! Summer is typically a time when churches take a break from small groups, discipleship groups, family groups, etc. An online Bible study experience allows you to work through a hearty and trustworthy Bible study with experts right at your fingertips, even if your small group has taken a few months off. 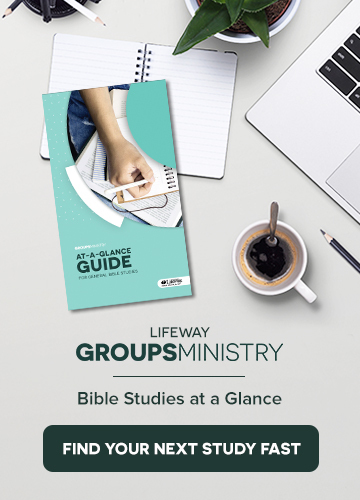 If you are a Bible study leader looking for a new Bible study, then our online Bible study is the perfect place to walk through a study before taking your group through it in the fall. You’ll definitely have all the knowledge you will need to successfully lead a group and look like a Bible study pro. The online Bible study experience can be the perfect way to get your small group together, as well as provide you with some flexibility and individual study time. With our online study, group members can participate in our blog posts and take their insights to your group meetings. 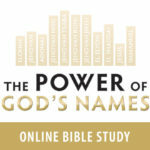 Now that we’ve sold you on signing up for our online Bible study, I bet you’re looking for some information on the chosen study, The Power of God’s Names by Tony Evans. Click on the session to see that week’s lesson on our Online Bible Study. To fully grasp the significance and power of knowing God’s names, you first need to understand the context of names within biblical culture. In Old Testament times, a name was more than simply nomenclature. Rather, it was a replica and revelation of the individual or thing itself. Words translated as a name show up over one thousand times in Scripture and routinely carry with them power, responsibility, purpose, and authority. A name not only expresses the essence and significance of what is being named, but also—when duly authorized—accesses the capacity intrinsic within it. Because of God’s depth of character, He has a variety of names to reflect His different capacities of relating to humanity. For example, God is called Elohim when referenced as the all-powerful Creator. When you need provision, get to know the name Jehovah-jireh, which means God the Provider. God has a name for any and every situation you can find yourself in. Get to know the names of God, because it is in knowing His character and capacity that you will discover both peace and power in His covenant care. The study examines 11 names of God. To sign up and learn more about our online Bible study process, go to this blog post. So glad you’re interested in joining us to study The Power of God’s Names online this spring! In order to sign up for the Bible study, please fill out the form at the bottom of this post: http://wp.me/p5Eiz1-mI. The post also contains all the information you’ll need to know in order to participate in the study.